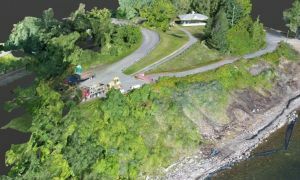 Northeast Geospatial: Your Drone and Remote Sensing Specialists located in Plattsburgh, NY. Our Pilots are FAA Certified and Licensed. Any Commercial Drone Flight Requires an FAA Certified Pilot. 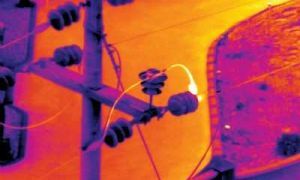 For inspections of power lines, capacitors, transformers and sub stations, or solar panels, oil & gas pipelines, to cell towers, Aerial infrared imaging for thermal inspection and moisture analysis of commercial buildings, rooftops, and industrial applications.Search and Rescue. Our UAV’s data processing delivers high quality true ortho photo, Contours / DEM / DTM / DSM and 3D models to use for a range of urban planning, commercial, utilities, environmental, agriculture and governance requirements. 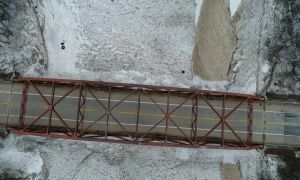 Our UAV's use GPS coordinates to precisely calculate where you need to be or simply provide project progression photography for architects and engineers Near Real-Time AS Builts, Contour Maps, Cut and Fill Volume Calculations. 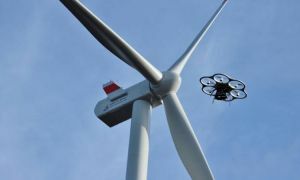 Power lines, Cell towers, Oil and gas pipelines, Buildings, Towers, and Railways – all of these and so many other types of industrial inspection are made easier, safer, and more efficient with our unmanned aerial systems.